Recently, I heard for what seemed like the umpteenth time from a distinguished NFL draft analyst that fumbling is a concern with former Georgia standout Sony Michel as the draft looms just days away. 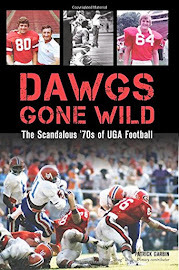 Not necessarily doubting the analyst, I decided to explore the legitimacy of his claim—comparatively speaking, that is, as it relates to all Bulldog players who handled the football over an extended period of time—say, beginning in 2001, or when individual fumble statistics were first made available, via UGA, through last season. Accordingly, the expert’s assertion seems valid on the surface as Michel’s 12 fumbles during his Georgia career, five of which were lost, are tied for the most by a non-quarterback and tied for fourth overall among all Bulldog players (trailing quarterbacks Aaron Murray, who fumbled 20 times, David Greene, who had 17, and Matthew Stafford’s 14). However, upon further examination... Continue Reading. January 30—it’s a date synonymous with football at the University of Georgia, featuring a historic beginning recognized by many Bulldog enthusiasts. A good portion of you are well aware of the event: Exactly 126 years ago today, 1,500 spectators gathered on the UGA campus at Alumni Athletic Field—later renamed “Herty Field” in honor of Georgia football's founding father, Charles Herty—to witness the first intercollegiate football game in the Deep South, pitting Mercer against host Georgia. Noticing that of the Bulldogs’ current 10 combined four- and five-star commitments from the 2018 and 2019 classes, eight were from the state of Georgia, I thought I’d conduct a simple analysis in regards to all of the four- and five-star prospects in the state during the Rivals era (beginning in 2002)—what hometown were they from, and what school did they sign with? 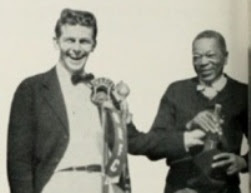 Georgia's All-Name Team has a formidable offensive line consisting of (L to R) Sandy Beaver, Bum Day, Max Jean-Gilles, Puss Whelchel, and Pud Mosteller. For more than a year, I compiled nearly 100 names of Bulldog players who I came across in my work/research and regarded worthy of being featured on an all-time Georgia “All-Name Team.” From those, I have selected a starting offense and defense. This summer, Dave McMahon and I at UGASports.com explore a topic that has been debated for years. Beginning in June and twice a week leading into fall camp, we will post the UGA’s Mount Rushmore of… series, whereby we each present our opinion of the top four Bulldogs representing each positional unit. Whether statistics, big plays, championships won, and/or something else, we have our reasons why these quartets of Bulldogs have been chosen. 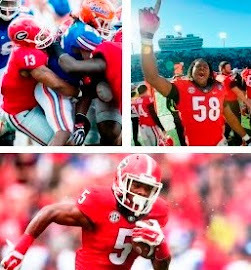 Here's our most recent post—the Mount Rushmore of UGA Inside Linebackers. Check UGASports.com every Monday and Wednesday for a couple of new foursomes of Bulldog legends. 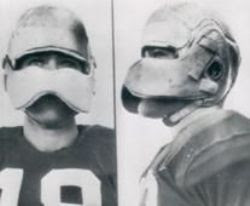 After an all-conference career at Georgia during the early 1970s (center), and 39 seasons as a football coach (left) at 12 different schools, including Georgia Tech twice, MAC McWHORTER has been retired for a few years (right), whereby he stays busy as a “professional piddler,” and following and supporting Georgia football. Following a distinguished football career as a linebacker at Atlanta’s Therrell High School, MAC McWHORTER arrived at Georgia in the fall of 1969 as the eighth McWhorter to play for the Red and Black. 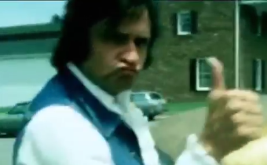 He was promptly moved to offensive guard where he eventually twice earned academic all-conference (back when only 20-25 players annually received the honor), and was First Team All-SEC in 1973. Still, McWhorter’s proudest honor was being voted by his teammates offensive captain as a senior that same season. From there, he remarkably coached for 39 seasons, making 13 stops along the way—three high schools and 10 colleges. Before at Notre Dame, Georgia's "intersectionals" included one which attracted nearly 100,000 (left), a battle in Ann Arbor in which the only battle won by the hosts was the one for this Confederate flag (center), and a recent one in the desert where nearly 30 percent of the crowd wore red and black. From Dooley (left) to Damon (right) to McGarity (center), in the quest for the “cups” of college sports (both of them), UGA athletics have steadily slipped with each succeeding athletic director. I was intrigued with the recent post on The Dawgvent started by @drdon50 regarding Georgia’s current ranking for the annual NACDA Directors’ Cup, whereby points are awarded to athletic programs based on their finish in polls/championship events. Stanford has won the cup for the last 20-something years in a row, which brings up a good point by @LawDawg86: Twenty sports are considered (10 men, 10 women) for the cup standings, yet Georgia participates in 18, meaning the school receives two “zeros.” The highly-ranked schools, like Stanford, compete in more than 20 sports, often excelling in country club athletics, Olympic sports, and the more obscure. “Not defending the AD, just pointing out all the facts,” LawDawg86 concluded. In agreement—not defending or attacking Greg McGarity—I wanted to discover the facts regarding the NACDA Directors’ Cup standings and how Georgia performed during the tenures of its last three athletic directors. The standings began being released annually with the 1993-94 academic year and have continued over the last 23 years: 11 years under AD Vince Dooley (1993-94 through 2003-04), six years under AD Damon Evans (2004-05 through 2009-10), and six years under AD McGarity (2010-11 through 2015-16). As mentioned, since schools compete in a varying number of sports, I decided to consider only the Southeastern Conference, and just the 12 schools which have been members for the duration of the time being measured (1993-94 to present), because schools in the SEC more or less/nearly compete in the same sports. For the final 11 years Vince Dooley was athletic director, Georgia’s average national ranking in the Directors’ Cup was No. 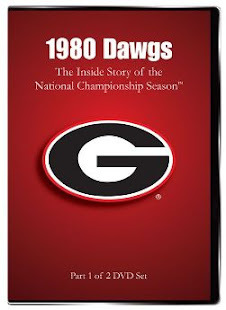 11½, while the Bulldogs had a 2.6 average finish of the 12 SEC teams at the time. Their average point total was good for a solid second-place finish in the conference, trailing top-ranked Florida by an average of 117.7 points... TO READ REST AND VIEW TABLES. Do Rivals’ Rankings Really Matter? 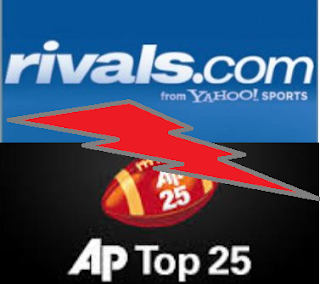 Having compiled something similar about a year ago—Rivals’ annual team recruiting rankings correlating to the annual final AP Poll—I wanted to calculate and post an update since the recent release of the final AP Poll for 2016. 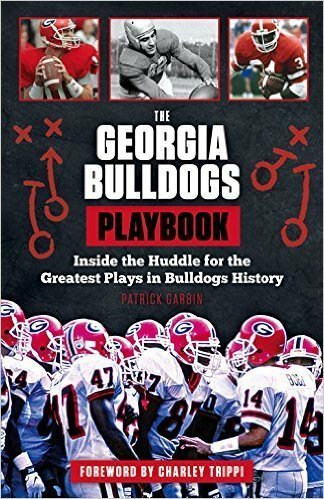 Visit and LIKE "UGA Football by Patrick Garbin"
Want a copy of the Bulldogs' PLAYBOOK??? 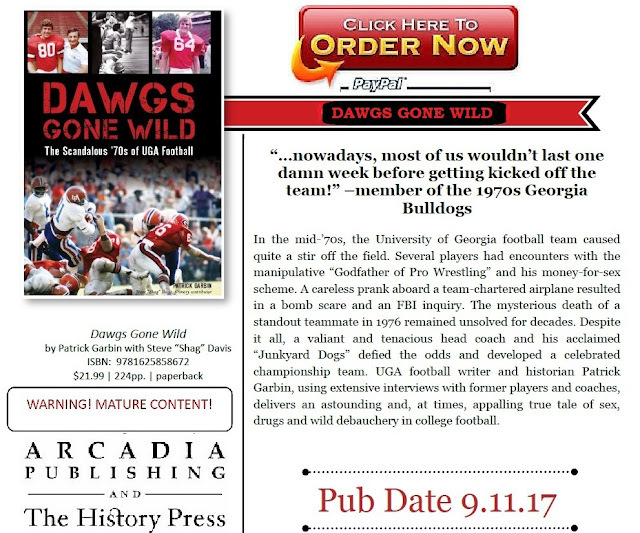 CLICK image for information and ordering details regarding my newest UGA book, THE GEORGIA BULLDOGS PLAYBOOK. Copyright 2009 About Them Dawgs! Blawg. Travel theme. Powered by Blogger.